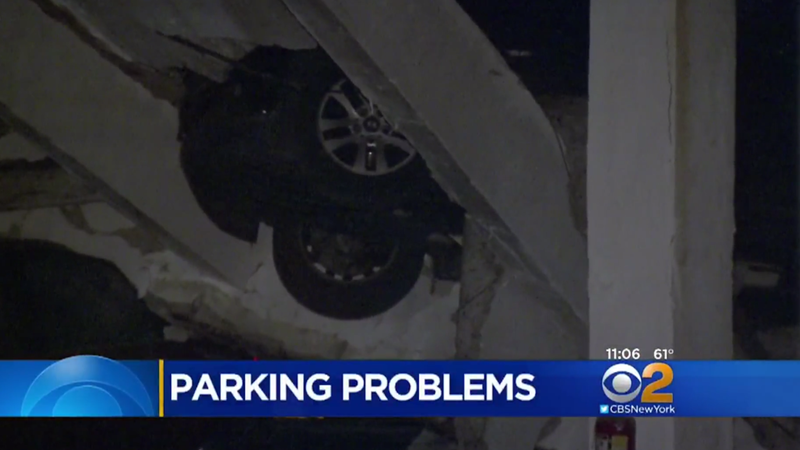 When a parking garage collapsed in New York City, an employee of the garage told local station CBS New York it would be at least three days before engineers could make the garage safe enough for owners to check the fates of their cars. That was in February. There are reportedly more than 40 cars still inside. It’s not even that these people have been without their cars for more than two months, but it’s that most don’t know what condition their car is in—it’s just sitting there, perhaps on top or underneath another car, unable to be accessed by its owner and with little hope of an insurance claim until that happens. The second floor of the parking garage, which CBS New York reports was “loaded with cars,” collapsed on Feb. 19. There was one employee inside of the garage when it collapsed, and the station reported after the original incident that he wasn’t hurt. A few cars were pulled out from the bottom floor during the weeks after the collapse, according to CBS New York. But, in an estimate that wasn’t confirmed by a source still affiliated with the garage, a former garage employee told the station that more than 40 cars remain inside. An owner interviewed by CBS New York after the collapse, who said he paid $250 a month to park there at the time, said the Porsche Cayenne he paid $60,000 for was trapped inside of the garage. Another owner said each time he hit his key fob, he saw his lights reflecting off of another car in the rubble. The city’s Department of Buildings said the garage’s owner was issued permits to shore up the structure in March. It appears some work has been done, but car owners are upset they’ve been left in the dark. “In order for me to make that insurance claim, I have to take pictures of the damages to the vehicle,” Tavarez said. Tavarez said she’s still paying hundreds of dollars a month on the insurance for her car, in hopes that she’ll see it again soon. “I’m frustrated. I’m very frustrated,” she said. CBS New York reports that several other car owners had similar stories, and that the station itself has yet to hear back from the owner of the garage.